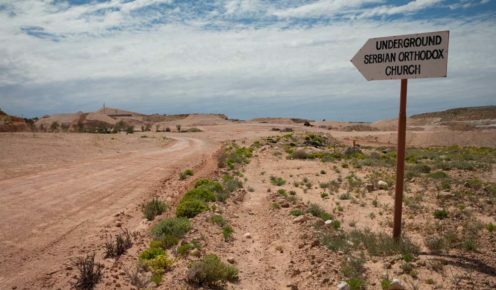 All roads lead to (well this one does) to Coober Pedy's Underground Serbian Orthodox Church (photo: Jonathan Cami). The opal is not the solitary object of worship in Coober Pedy, as can be seen by the diversity of churches in town: Serbian Orthodox Church, Anglican Catacomb Church, Saint Peter & Paul’s Catholic Church and the St Nicholas Greek Orthodox Church (the only above ground in this bunch). Dispensing divinity in the outback, however, has specific trials. “The priests who have been here get serious respect from other priests,” says Father Brian Mathews from the underground Saint Peter & Paul’s Catholic Church. 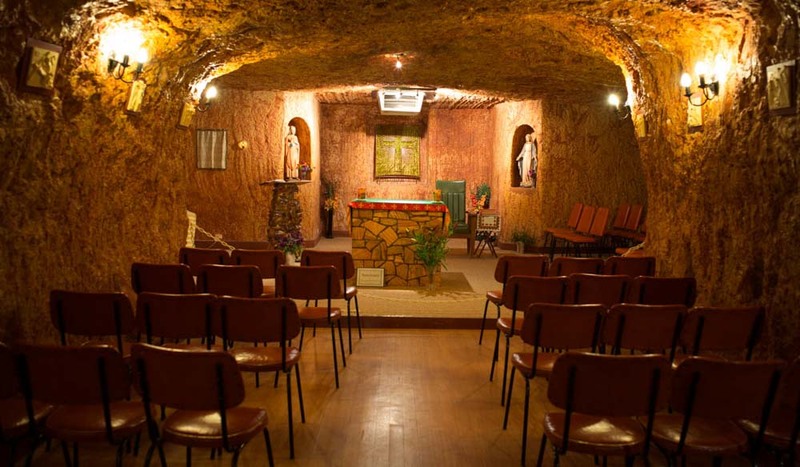 Presiding over a subterranean church that often has more tourists than parishioners is a novelty not lost on Father Mathews, now in his second year here. 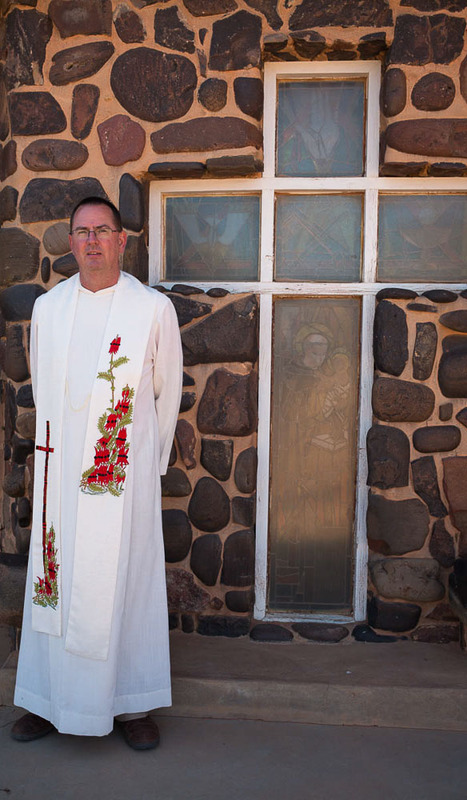 The peaceful, once multi-denominational space seems like the perfect spot to reflect on life and bigger things, such as the size of Father Brian’s ‘bush run’, which has a catchment bigger than Texas, extending to the WA border and Birdsville.